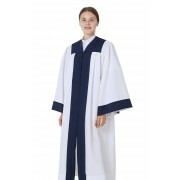 IvyRobes is in the business of selling choral attire such as choral robes, choral stoles, clergy robes, clergy stoles, clergy shirt, cassock, chasubles and so on. There are many styles of choir attire in our shop including eco-friendly choir gowns, classic choir gowns, fluted choir gowns and various custom choir gowns. 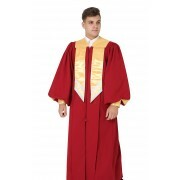 All of the choir robes and choir stoles are made of quality fabrics and available in different colors. Many of our choral attire are stocked products which are ready to ship once you place your order. 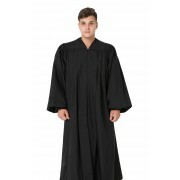 We also provide custom service for choir robes and choir stoles. Once we receive your special requests on the custom-made products, our custom service representatives will contact you as soon as possible to confirm and check your requests details. Then our professional agents will work out your order until delivery in 3-4 weeks. We offer free shipping for any order (shipping address in USA) over five hundred dollars. You can register to our website so that you can check out your from shopping cart directly. And also we will inform our great promotion policy casually.ivyrobes,robes,choir robes online,minister shirts. Regarding to clergy apparel, we have a comprehensive collections of clergy robes, pulpit robes, clergy stoles and clergy shirts. Different sizes in our size chart and colors on our colors swatch are for your choices. All of our clergy attires are with affordable price and high quality. Every month and every festival we usually have different promotion policy. We try our best to get a balance between price and quality. In addition, we are also expanding our collection of church apparel by offering baptismal robes, confirmation robes, and judicial robes etc. No matter what you would like to purchase: a set of choir robe and stole package or just only a choir cap, Ivyrobes always provide you better-designed and high-quality ones. We guarantee the best quality choral attires at lowest price in the market.